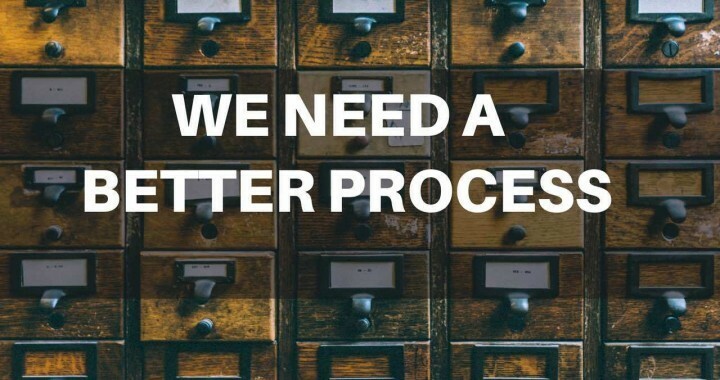 It’s common to find frustrating processes or systems when dealing with businesses, but what if that process was actively designed to be ‘clever for you’ but you didn’t see it that way? One of the challenges of designing a customer experience is stepping out of your mind or the ‘org-mind’ (the conditioned way of thinking from within your organisation). We want to create better customer experiences through the many touch points and interactions our business has with its customers, but we also have our objectives or ideas which we believe will provide our customer with a great experience. What we have to ensure in doing so is that we don't create a negative experience out of any particular touch point. I visited a business last week to see a colleague that I hadn’t seen in quite some time and to learn more about some great things they are doing in the local business community. On entering their professional office and being verbally greeted by the person behind the reception counter, I was advised to please sign in. Signing in on a register at a business is fairly commonplace for security and safety reasons and as such it wasn’t an unusual request. Seeing a tablet in a stand on the counter for this purpose made me intrigued about this use of technology to do what is a fairly straightforward task. As I stood in front of the tablet, it quickly became a confrontation point. The screen form required my name, company, mobile, email and a photo to proceed. A curt “yes” was the response. My defensive privacy hackles were now on alert. I had now jumped from keen to see my colleague and learn more about this business to wondering if I had brought my tin hat in my bag and could perhaps slip it on. Had I been fully thinking my way through it, I could have taken a photo of my hand as no one policed what I did. At the moment, though, I was tricked into compliance and providing more information than I would want to provide by the inference of this being a safety requirement to enter the building. This connected device had no mention of privacy policies or other information to satisfy my needs and here I was unwillingly, but compliantly, adding in more personal information into a database outside of my control with no protective comfort signals. My experience at this point was becoming negative and confrontational, yet I continued. The next screen required me to provide my signature by finger onto the tablet which I scribbled away and did. Within a second the printer shot out a label, which flew onto the floor with my photo and name on it and a visitor number and barcode. The staff was working around a bad process and accepting it rather than fixing it. I thought this probably wasn’t what the organisation brains had envisioned when they implemented it. My colleague showed up, and I asked if I needed to stick the label on my jacket. “No, it’s just something funky we added. We are going to text you a video of the safety and exit areas or something”, was his reply (loose recall of the actual words). Afterwards, and after a great meeting, I reflected back on the negative experience and how it typifies many efforts to improve customer experience. The same is true in physical settings or on websites or apps. It’s the common problem of inside-out marketing / design. Looking at it from an external standpoint it’s hard to believe that any of this makes sense, or why it could happen. We all have had experiences like this and thought, "Who the heck would do that?" I have yet to hear a ‘Yes’ to this question when discussing many of the typical online marketing tactics that annoy people (e.g. pop-ups and repetitive impositions), and yet they are a mandatory request when the same people start listing their site requirements. The same often is said about physical processes. An important part of redesigning any customer experience touch points or services is empathy. Applying empathy to the person who will be using your proposed system or process. While you can’t make everyone happy, you can do everything in your power to find out from real users what they feel about using your process. Just because something isn't straightforward to resolve doesn't mean you should try to fix it. Don’t make the mistake of ‘drinking your own bath water’ by running your entire internal customer journey mapping scenarios internally without the rigour of real client discussions and testing. 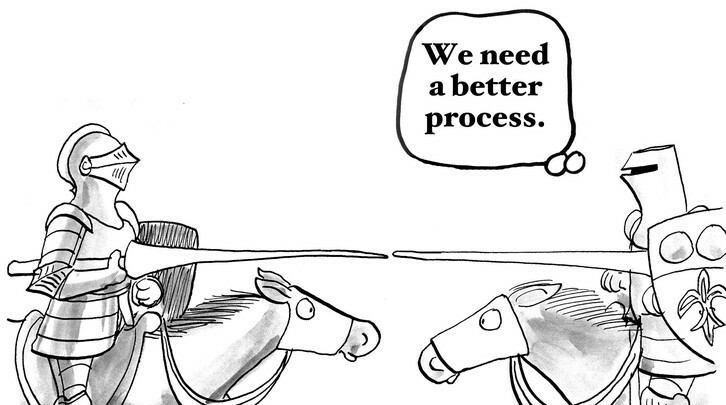 What you invent as a process isn’t necessarily what you want for me your customer. And if you don’t give me what I want as a positive experience then you are at risk of me moving away and taking my custom elsewhere. Revisit this regularly. The experience changes over time. Ensure your staff feel part of the process and work to remove the ‘that’s how it works’ mindset. Check the data in your database. If people start entering mock data, you know your process isn’t for them. Ultimately the hardest part in fixing customer experience is making sure your team is fully engaged in the process. You want to ensure that bad experiences aren’t ignored, and a Band-Aid applied, but they provide constructive feedback on the process and that you have a method to review and fix things when they show up as sub-optimal. With so many touch points across your business it can be daunting, but as the old expression goes sometimes fixing them is like eating an elephant – One bite at a time!